Brazilian Jiu-Jitsu is a grappling martial art involving the use of throws, takedowns, and ground control positions. Students will learn how to use their body to make frames and levers to manipulate an opponent’s base, posture, structure, and ultimately leading to controlling another person using chokes and joint locks. We teach Brazilian Jiu-Jitsu in Woodinville not as a collection of random moves, but as a set of physical principles that govern human movement. Emphasizing biomechanically correct movements that avoid attributes like strength or athleticism. We believe ANYONE can do Jiu jitsu, for whatever goal they wish to achieve. Be it fitness, self-defense, competition, mixed martial arts, or simply self-improvement, training at NSMMA will give you the insight and skills to truly challenge and empower yourself. Our diverse striking programs is designed to successfully integrate all different skill levels into the program. The curriculum is structured so each individual can learn at their own pace, according to their personal goals. Your journey starts with basic boxing. Once the student demonstrates the basic fundamentals of boxing they can then choose to start light contact sparring and drilling. Once student achieves a level of comfort with light contact drilling in boxing they can progress to kickboxing. The primary focus is learning the fundamentals, improving fitness levels and having fun. All classes have a strong strength and conditioning component. 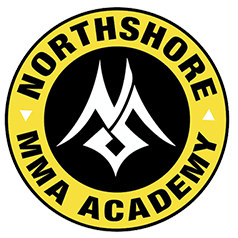 The NSMMA curriculum is unique, specific skills, techniques and fitness are laid out for the student to follow at their own pace. When students can demonstrate these skills, they move up in rank, progressing towards the next skill and fitness levels. This rank style system creates an environment where students can continue to learn and grow in effort to achieve the next rank if they choose. • Juniors & Teens (13-15 years old). Full Contact Fitness boot camp incorporates practical self-defense techniques, core conditioning, speed, agility, Yoga, body movement, battle ropes and suspension training exercises. Anyone can succeed no matter what your fitness level. We tailor your program specific to your goals. Whether you are out of shape and need to be pushed, or a fitness enthusiast that wants to learn basic self-defense while getting in amazing shape. Weaponize your body and get in the best shape of your life! Individual, small groups and team training slots available. If I have to cancel my membership, how should I do it? Can I buy out my 12 month commitment contract? Yes, buy committing to a 12 month agreement you save $51 a month, paying $99 a month versus $150 a month. If you change your residence and commuting to the academy is no longer feasible you can buy out your contract. You simply pay $50 a month for the time spent as a member as if you purchased a month to month agreement. For example; six month into your twelve month commitment you have to move. You would be charged $300; $50 x 6 months instead of paying $600 over the remaining six months.